AUBURN, WA (KTRK) -- A Washington State Patrol trooper caught the surprise of a lifetime when he stopped a motorist Tuesday morning. His surprise? Something larger than life. Trooper Greg Ulrich stopped a vehicle on State Route 167 in Auburn, Washington for violating the HOV lane. 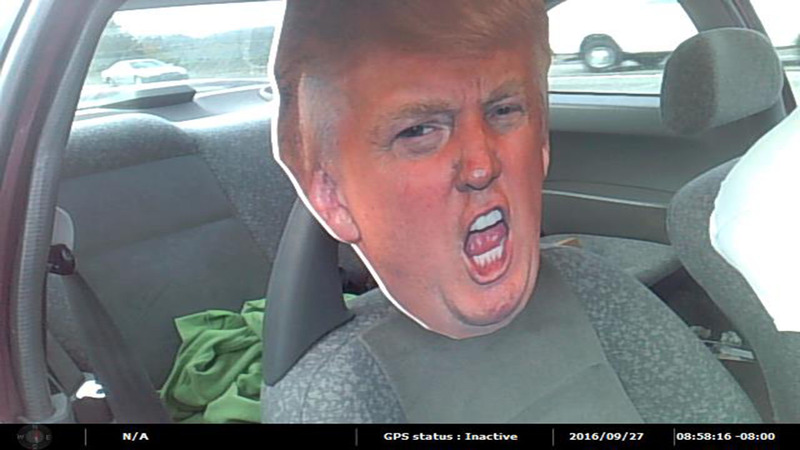 When he approached the driver, he found a giant cut-out of Donald Trump's head in the passenger seat. No word on how much the driver was cited.